You can add a timeframe - a number of days. This can be handy to make sure that processes aren't slowing down too much. If a step isn't completed within a certain timeframe, it will show as Overdue in your dashbaord. You can add instructions - this is the place to add in the program requirements or other info. 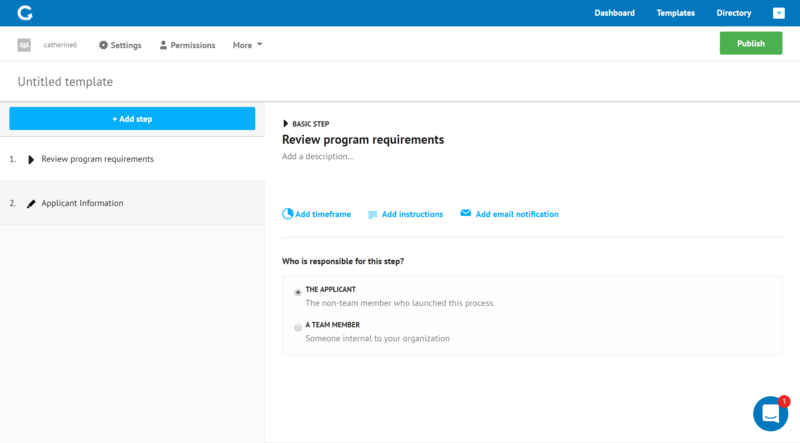 You can add an email notification: this will be automatically sent to the applicant (the person who launched the process) when the step is completed.